FOUR to score – all accepted entrants may run. Under 13 Girls Championship (3K) at 11.45 pm Ages 11 & 12 years as at 31st August 2017 (11 years on the day of competition). Under 13 Boys Championship (3K) at 12.30 pm Ages 11 & 12 years as at 31st August 2017 (11 years on the day of competition). THREE to score – all accepted entrants may run. SIX to score – all accepted entrants may run. 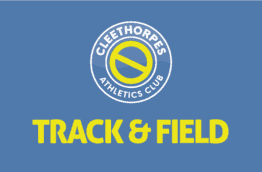 (1) Only Clubs affiliated to England Athletics (EA) may enter, checks will be made and all athletes listed should be registered also with EA. (2) All athletes must be First-claim members of their club. Athletes who do not qualify for team competition may enter but must be clearly indicated on the entry form or the online system. (3) Full-time student members of recognised, affiliated Higher Education clubs may only represent their Higher Education club if their first claim club is not entered as a team in that particular race. The Higher Education teams will not be eligible for awards. (4) Athletes may only compete in their own age group. 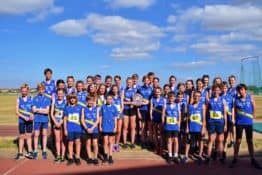 (5) Club colours: Athletes MUST wear a club vest registered in the same colours and design to be eligible for team and individual competition. Athletes must wear clothing suitable for cross country running in cold weather. 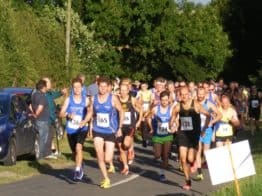 Entry Fees – ALL ENTRANTS £8 each. Competitors Numbers & Chips: These must be collected by appointed team manager. Full set of an age group numbers can be signed for ( NO part collection ). Non used chips should then be returned to the Registration Marquee and used chips to be placed in receptacles after the Race – unreturned chips will be charged to clubs at £7 per chip. Acknowledgement – Final travel, parking, collection of numbers and chips, changing details and other relevant information will be sent to all clubs via email.